Memphis has become very successful after being on Big Brother 10 he’s the General manager for a LA Superclub and has launched his custom jewellery line called Whiskey Breath. It’s been awhile since we’ve heard about Memphis in the BB world. Here’s a short summary to refresh your memory. 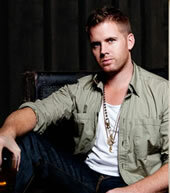 Memphis Garrett was the runner up for the tenth season of Big Brother. He was one of 2 members along with BB mastermind Dan Gheesling (bam finally Spelt it right) of the highly successful Alliance called The Renegades. This Alliance resulted in Dan becoming the Season 10 winner and Memphis walking away with second place, a 1969 Camaro and hordes of drooling female Live Feed fans. One interesting little tid bit about the Camaro, CBS Big Brother did not own the vehicle but was using it as a part of the Episode 1 Head of Household competition (I guess they were expecting for the players to select the HOH over the Car). When the show was over they gave Memphis the option to take the car which they were going to purchase from the owner or pay Memphis a undisclosed amount. Memphis took the cash. While on the feeds he is remembered for being a pretty laid back player winning zero HOH competitions, 3 Veto’s and rolling with a low key social game. His fight with fellow house guest 75 year old ex marine Jerry Macdonald over Jerry calling him a “womanizer” is probabaly the highlight of his Feed time in the Big Brother House. I would suspect if their was a Big Brother AllStars then The Renegades will be invited. His Jewellery uses materials like elted bullets, Silver, Brass, and Southern inspired charms. It’s all custom handcrafted and very cool. 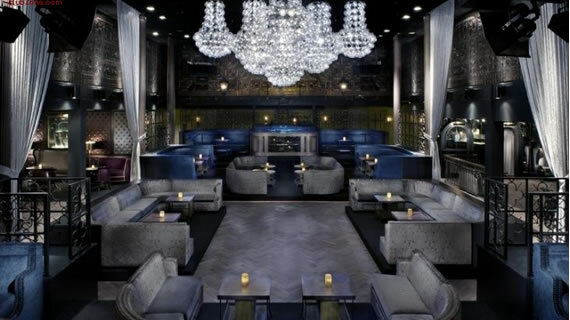 Greystone Manor opened on November 10th, 2011 it’s located 643 N La Cienega Blvd | West Hollywood, CA 90069. It’s considered one of the TOP 5 clubs in LA. In recent interview with Memphis Daily ISO had this to say about Memphis and the success of the Greystone Manor Superclub. One of the key ingredients to any successful establishment is the general manager. And Greystone Manor is no exception. A self professed nightlife professional, reality TV personality, and whiskey drinking jewelry designer, Memphis Garrett has helped elevate both the venue and the SBE hospitality group to a higher level. I can understand why Jerry called Dan Judas, but why did he call Memphis a womanizer again? Memphis seemed shy and laid back to me, plus I think he had a girlfriend outside the house. I can’t seem to recall why.Jerry called him that in the first place. I can’t remember.. Jerry was known for saying crazy things, like when he was trying to explain the different races of human on the planet lol pretty funny stuff. Yes I got to agree Chessie I like Kesha,Renny, and Libra they were my 3 that were my favorites:)) And my question is for Simon do you know who is on Big Brother 14 yet or are they still looking for people to be on the show?? As far as I know they are looking. Casting rumors usually don’t start coming around until May-June-July.